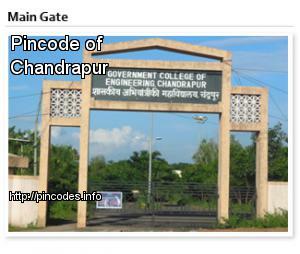 Chandrapur (meaning moon city) (formerly Chanda) (meaning moon) is a city and a municipal corporation in Chandrapur district in Maharashtra state, India. 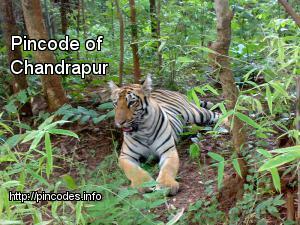 It is also the headquarters of Chandrapur district. The city of Chandrapur has ancient temples of the goddess Kalikankalini, a form of the goddess Mahakali, and of Anchaleshwar, a form of the god Shiva. The city was founded by Gond King Khandakya BallalShah in the 13th century and is situated at the confluence of the Irai and Zarpat rivers. The region is very rich in mineral wealth such as coal and limestone. Due to its large number of coal mines, the city is also known as Black Gold city. Many cement factories are also located in this region. A major fire broke out at Sinhala Mines in Western Coalfields Ltd (WCL) here on Saturday morning and around 70 miners trapped inside were rescued by firefighters, a senior official said. Chandrapur town on Sunday recorded a maximum temperature of 46 degree Celsius, the highest in Vidarbha this summer, as the region reeled under heatwave conditions.